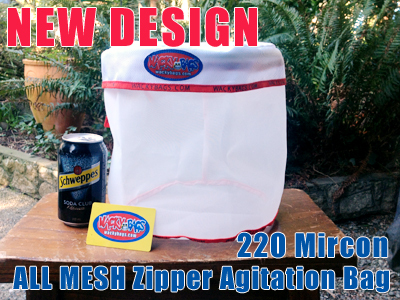 Short Decription 5 Gallon All Mesh 220 Washer Bag. For best results secure bag with Plastic cable tie before agitation or use the drawstrings built into the bag. Short Decription Fits all washers! Use Multiple bags for Large washers. You just put in your trim and zipper it up - has 2 string locks to tie the zipper closed. 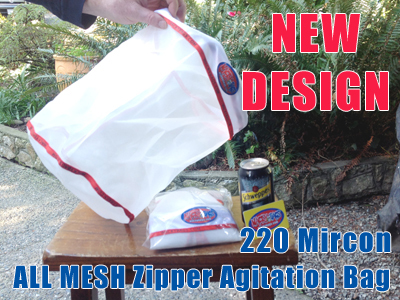 This locking system will prevent the bag from opening and spilling the contents during the agitation phase. You just put in your product and zipper it up - has 2 string locks to tie the zipper closed. 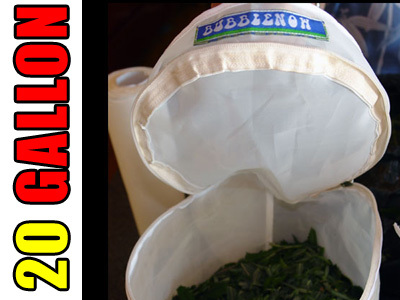 This locking system will prevent the bag from opening and spilling the contents during the agitation phase. 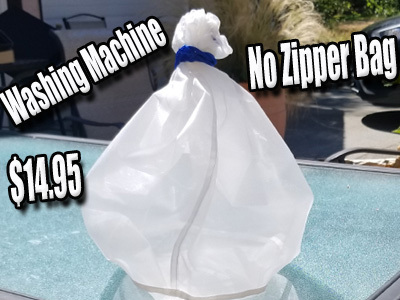 Short Decription Replacement bag for the 5 Gallon Bubble Now machine. Made entirely of 220 micron screen with reinforced seams and secure zipper ties. This bag was developed by Bubble Man after rigorous testing of several different designs. 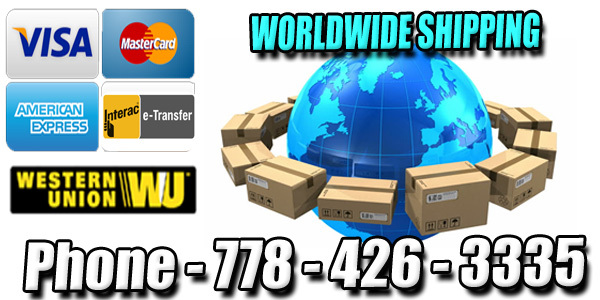 The cylindrical shape is easy to use and fits inside the Bubble Now machine perfectly. 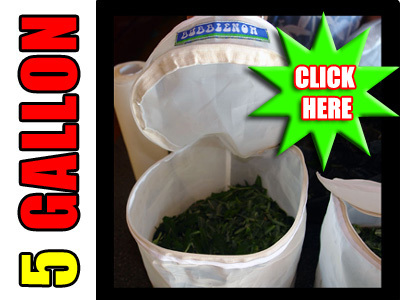 Short Decription Replacement bag for the 20 Gallon Bubble Now machine.